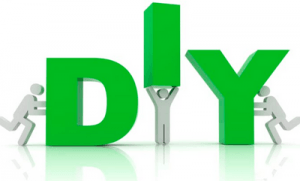 DIY Personal Injury Claim: Don’t Make this Mistake! Can you do your own personal injury claim? While any driver in an accident can start a claim, its wise to seek legal counsel for guidance before starting a claim to make sure you comply with the proper procedures. A failure to comply with the proper procedure can result in time being lost and witness’s evidence to go stale. Your personal injury claim may be the only way to recoup compensation for your injuries if ICBC finds you at fault for an accident. In Kristen v. ICBC, 2018 BCPC 106, a self represented litigant who set down a trial against ICBC for an accident had his claim adjourned because he failed to sue the right person to make his claim. Mr. K was in in a car accident on November 15, 2016 was found by the ICBC claims adjuster to be 100% liable for an accident. Mr. K disagreed with the finding and requested a review by an outside arbitrator. That arbitrator also found him 100% liable for the accident. Mr. K brought an action in provincial court against ICBC disputing the decision of the arbitrator and asking the court to find the other driver at fault for the accident. In his claim documents, Mr. K only named ICBC as a defendant and did not name the other driver. Mr. K set the claim for a trial on April 13, 2018. He appeared but ICBC did not. Judge Wingham for the Provincial Court first considered whether the Provincial Court has authority to review the arbitrator’s decision without the other driver there. Mr. K asked the court to proceed with the trial without ICBC there and find in his favor. Unfortunately, he held that nothing in the Insurance (Motor Vehicle) Act gave the court authority to review the decision of the arbitrator without a hearing. He noted that an arbitrator’s decision is binding on ICBC internally, but not Mr. K who still has the right to pursue a claim in court against the other driver for liability. Judge Wingham ultimately held that the court could not assess the liability issue without the other driver presenting his or her case. He noted that the other driver has a right to be served with notice that the court is being asked to determine liability. Because the other driver was not served and given an opportunity to be heard, the court would only have one version of events. Judge Wingham reiterated that the proper way to pursue a claim is to sue the other driver and name him as a defendant. Under section 22 of the Insurance (Motor Vehicle) Act ICBC is required to be given notice of the claim. He described the error at paragraph 9 of his judgement. He gave the claimant some extra time to fix his original claim to name the other driver as a defendant or his claim would be dismissed. If you are thinking about doing your own personal injury claim, the goodfirm Vancouver Personal Injury Lawyers recommended consulting with a lawyer first to make sure you understand the process. Give the goodfirm lawyers a call at 604.264.5550 to see how we can help.